Nationwide, pedestrian deaths have increased 46 percent since reaching their lowest point in 2009, according to data in a new study from the National Highway Traffic Safety Administration. Count Paul Snyder among those who believes distraction, more than vehicles themselves, is responsible for the increase in pedestrian fatalities. Many of the expertsagree that distraction is a factor in pedestrian crashes and that combating distracted driving and walking would help reduce the number of incidents, injuries and deaths. The proliferation of the smartphone is central to the crisis. The Governors Highway Safety Association has noted that the number of active cell phones in use in the U.S. between 2010 and 2016 increased by 236 percent. Distraction was “very high” on 12 of the systems, “high” on 11 and “moderate” on seven. None of the systems generated “low” distraction, according to the researchers. 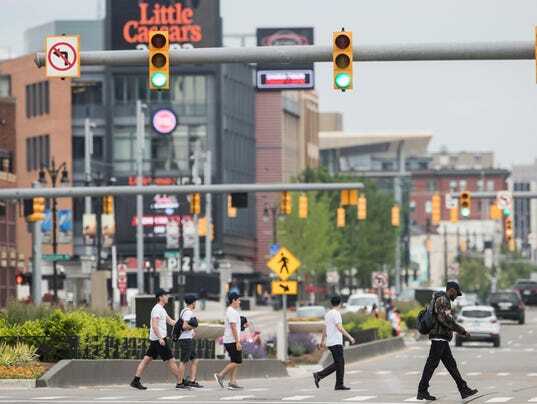 “The issue that’s new is the people actually taking their eyes off the road to do things,” said Van Houten, who has done extensive study on traffic and pedestrian safety. He said distraction and speed are likely factors in the increase in pedestrian deaths. Van Houten has researched how high-visibility enforcement of traffic rules for drivers affected yielding to pedestrians in Gainesville, Florida. The study results released in 2013 and a follow-up effort released last year found that enforcement has a significant impact. The follow-up also found a “statistically significant decrease” in pedestrian crashes. Van Houten is working with the City of Ann Arbor on its efforts to boost pedestrian safety. The campaign used the term “petextrians” to describe people who text and walk, and included comments from a Ford engineer noting how startled he and others have been “to see how oblivious people could be of a 4,000-pound car coming toward them.” The campaign elicited outrage from pedestrian advocates who equated it to blaming the victim. Society, he said, already recognizes a difference, because not everyone is able to obtain a driver’s license. Anyone who is physically able, however, can be a pedestrian, and no license is needed to cross a street.